Fibre optic cabling is the in-thing these days and more people and companies are investing in this area. The rising demand for high-bandwidth transmission for residential and industrial purposes has increased the need for network cabling services. Fibre optic cables are usually used in bandwidth transmission as the carry optical signal from the optical transmitter to the optical receiver. The received signal is then reconverted into electrical signal. Hence, fibre optical cables act as great medium for telecommunication and networking. Fibre has significant benefits over copper in terms of cost, environment friendliness, more discreet installation and clearer signal. Fibre is thinner; therefore more fibres can be bundled together in the same space as a copper cable. Over time, fibre is less expensive than copper – with no high-voltage electrical transmitters needed, fibre can help save money for the service provider as well as the end consumer. Many entrepreneurs are more than willing to invest on any new opportunity in the market. 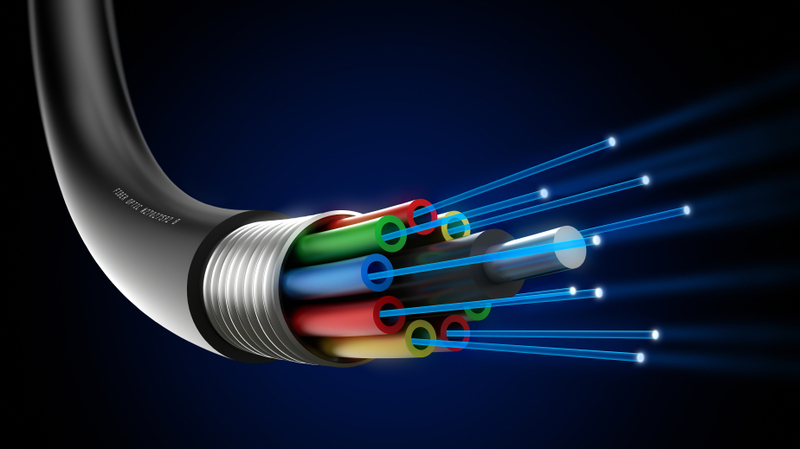 Fibre optic cabling is one area that presents more pros than cons to IT experts and investors. Actually, many investors have enjoyed significant returns on their investments in data cabling. For companies that use the cloud for data storage or applications, network cabling presents unmatched benefits. Fiber optic cable is one of the fastest-growing transmission mediums for cabling installations and upgrades and offers a number of advantages over copper cabling. 1. Faster Transmissions of Data – The competition between the 2 widely used techniques ie; Fiber optic cabling versus copper transmission can be seen as the speed of photons versus electrons. Photons go at the speed of light, while electrons utilized as a part of copper goes at short of what one percent of the speed of light. While fiber optic links don't move at the speed of light, they come close—just around 31 % slower that of light. Obviously Transmissions over the fibre optic cable is way higher than copper cables. 2. Installation Cost – Fibre optic cables are stronger, less expensive to keep up, and require less equipment. Few years back, the cost of fiber links installation was much higher than coppers, however now the cost amongst fiber and copper has little distinction as the cost of fiber link, parts, and equipment has consistently diminished. Overall, fiber is more costly than copper in the short run, but it may actually be cheap in the long run. Fiber typically costs less to maintain, has less much less downtime, and requires less networking hardware. 3. 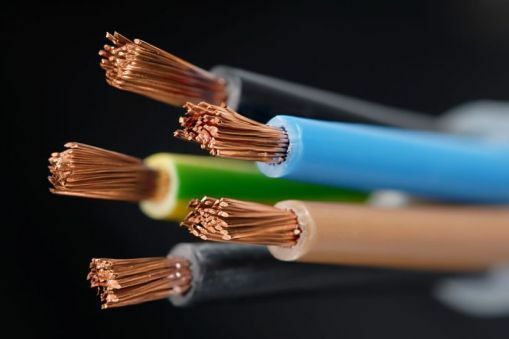 More Secure against Fire – If not installed properly, Copper wires can produce electromagnetic currents that can obstruct with other wires and wreak havoc on a network and may resulting in fire some times. However Fibre Optic cables are not a fire hazard because they do not produce electromagnetic interference as there is no electric current traveling through the core. 5. Security - fiber-optic internet is knows as a cost-effective way of directly increasing your Internet security. The transmission of data over fiber is very safe. As fibre doesn’t radiate signals and is particularly difficult to tap. If the cable is tapped, it’s very easy to monitor because the cable leaks light, causing the entire system to fail. If an attempt is made to break the physical security of your fiber system, you’ll know it. Fibre optic cabling provides faster connections than any type of cabling. They provide companies with connectivity options ranging from 5Mbs to 100 Gbps. Fibre optic cables can be utilized instead of other network cables to reach terminals outside its normal range reach. Hence, in case of high demand for internet, you will not even notice the internet slowing down. Slow Internet connections affect production in any company. Thus, you need to rely on fibre optic cabling to support the desire of your employees to work efficiently and without any reservations. Fibre optic cabling offers unrivalled cloud access. Fibre optic cables are helpful when it comes to data storage and customer relationship management tools (CRM). Many organizations use cloud for hosting, apps and much more as these cables offer faster access to data and all apps secured in the cloud. Keep in mind that; fibre optic cables are not easily affected by electromagnetic currents that cause mess on network connectivity. Notably, they do not conduct electricity. DSL or Ethernet. The fibre cables internet connectivity does not fail with changes in distance. And so, network cabling is helpful for employees in workstations that are located at a significant distance to the telecommunication room. Fibre optic cabling is much secure and more reliable in workstations where a lot of data is involved in business operations. It is not easy for hackers and data thieves to penetrate fibre optic cable connectivity. The only way to interfere with fibre optic cables connection is through physically cutting the fibers and this will only cause the signal to disappear. Fibre data cabling offers a secure means against rampant cyber-crime. information transmission. Organizations who put their wealth into fiber optic cabling generally find that the aggregate cost of possession, data transmission potential, and speed gains are noticeable. With faster internet connections, it also becomes easy to increase productivity in a company. Thus why, many entrepreneurs go for fibre optic cabling as it offers a cost-effective means to store and transfer data without any breach. It is also easy to install fibre optic cables as they are much smaller, portable and flexible. Even though you will spend a few dollars for labor, fibre cabling presents you with unmatched merits. So having a business in London, and if you don’t have a team of experts to install fibre cables on your firm, there are many data cabling London companies eager to help. Find one and learn more about the benefits of fibre optic cabling.